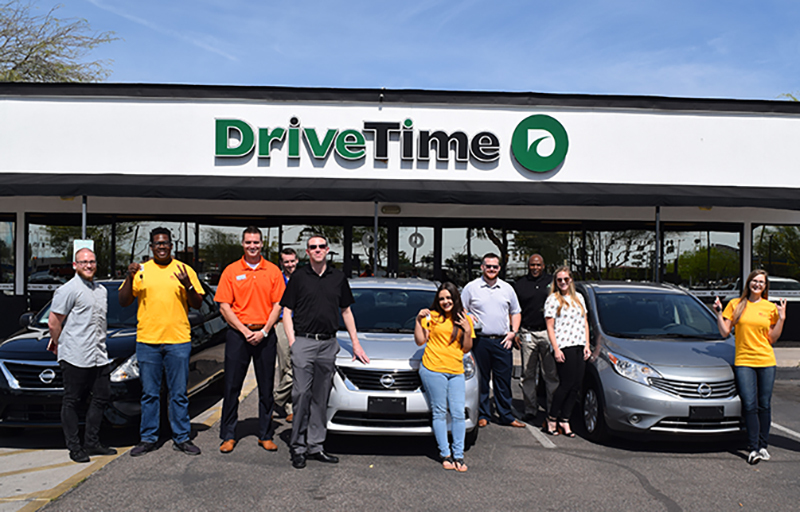 DriveTime partners with ASU’s America Reads program and donates three vehicles to help transport tutors and resources to Title 1 schools and community centers. The Mary Lou Fulton Teachers College at ASU has undertaken the immense challenge of improving Arizona’s quality of education; particularly the states Title 1 schools. In the Phoenix valley alone, there are over 650 Title 1 schools that receive government funding to provide resources to students in low-income communities, but economic divides are widening in Arizona, and the Title One program is struggling to fill the gaps. ASU is helping make up the difference by sending tutors to Title 1 schools and community centers with their America Reads program. America Reads deploys over 200 after-school tutors a day to their various program locations throughout the Phoenix valley. America Reads tutors are instrumental in helping low-income elementary and middle school students achieve higher reading levels and instill in them a love of learning. One obstacle that is holding the program back from serving even more students in harder to reach areas of the valley is reliable transportation. Of the 200 plus America Reads tutors, most don’t own a vehicle and are forced to spend hours on buses or borrow a vehicle. Through access to reliable transportation, America Reads tutors would be able to make an even greater difference for Arizona’s underprivileged students. DriveTime partnered with ASU this year to help resolve this issue facing many of their tutors. While public transit is effective for transporting tutors within the city, the places they are needed most are outside the city in low-income communities far out of range of buses. By donating three cars to ASU’s America Reads program, DriveTime is helping tutors and resources reach elementary and middle school students who are in desperate need of help. Through giving America Reads tutors free access to reliable transportation, DriveTime hopes that more ASU students will be encouraged to apply to the program knowing that their not having a car won’t be an inconvenience. Along with tutors, America Reads employs site supervisors who need to visit each program location regularly; a task made particularly difficult without a vehicle. For site supervisors Amir and Luisanna, these vehicles will help things run much smoother. “We need cars to monitor the entire community, but these cars will keep our staff connected. Thank you DriveTime!” said Amir. “I wouldn’t be an America Reads supervisor without DriveTime. I’ve juggled class with bus schedules and unreliable transportation, so these vehicles will be life changing,” said Luisanna. DriveTime’s partnership with America Reads marks the beginning of incredible changes for Arizona. By sending tutors and resources to distant communities, DriveTime and America Reads hope to remind underprivileged students of their value as people, and of their potential through education.